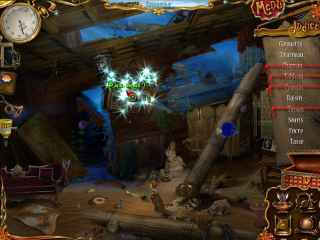 Free Download 10 Days Under The Sea Game or Get Full Unlimited Game Version! Comb underwater scenes for hidden objects in gorgeous locations like the Sea of Japan, the Caribbean, the Nile and many more! In order to get advantaged of playing 10 Days Under The Sea full unlimiteg game version you must register the game. Set sail and help Little Carrie find her body. She's been turned into a ghost by a mysterious old man and must find hidden treasures to be freed from her spectral prison. But, she has just ten days to complete the task before her! 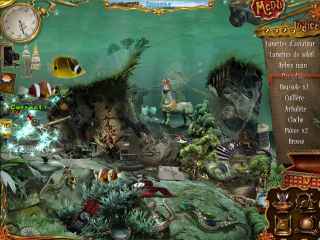 Comb underwater scenes for hidden objects in gorgeous locations like the Sea of Japan, the Caribbean, the Nile and many more! Encounter many types of interactive fish and take pictures of your favorites! See where you can go in 10 Days Under the Sea! 30 Unique And Animated Scenes! Many Types Of Interactive Fish! 4 Special Bonus Items To Assist You! Snap Photos Of Your Favorite Fish!